Home › Products › Pharmaceutical Tablets › Baselide - Plus Tablet. Get in touch with us and purchase Baselide Plus Tablets! 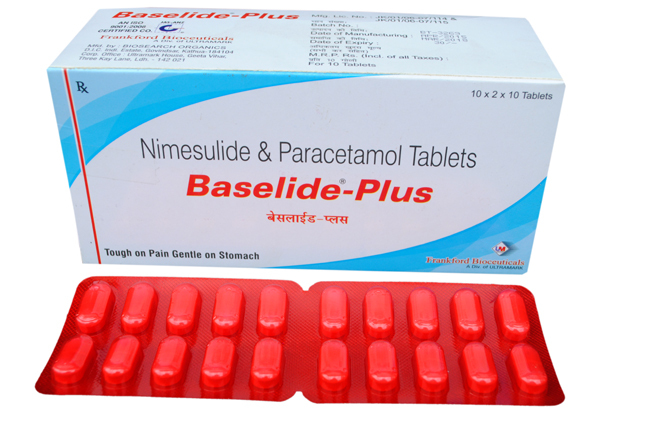 The Baselide Plus Tablets that we offer are perfectly formulated having Nimesulide and Acetaminophen in accurate proportions. Order retail or bulk, timely deliveries are performed.